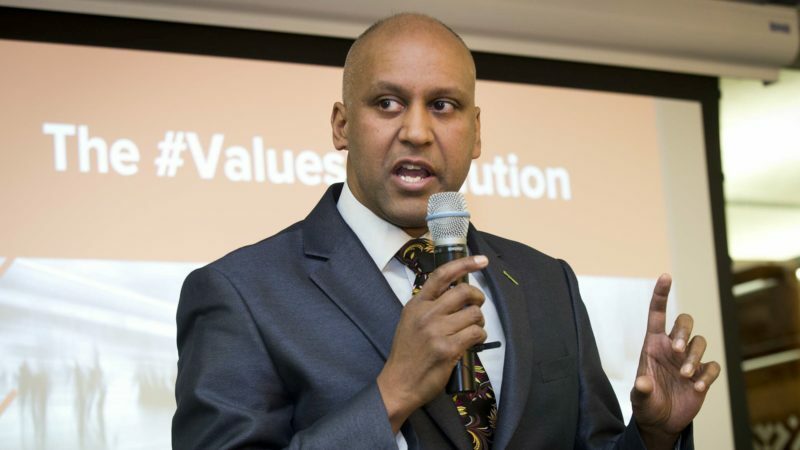 Green Party of England & Wales leadership candidate Shahrar Ali has described allegations of antisemitism as 'shocking negative campaigning'. Supporters of Green leadership candidate Shahrar Ali have hit back at claims that a speech he made at a Gaza rally in 2009 was antisemitic. In the speech – made during the Gaza War which killed 1,400 Palestinians – he refers to Israel, the US and the UK as ‘warmongers’ who ‘observe the niceties of Holocaust Memorial Day’. The speech ends with him singing the Manic Street Preachers line: ‘If you tolerate this, then your children will be next’. In a statement to Left Foot Forward last week, the Campaign Against Antisemitism described linking Israel’s actions in Gaza with the Holocaust as antisemitic. The Green Party added that their complaints process when the speech was made was ‘inadequate’, but had since been updated. However, some Greens have reacted with anger to the allegations. Shahrar Ali did not respond to LFF‘s requests for comment at the time, however he later published a reaction on Facebook, hitting out at ‘disgraceful, discreditable, shocking negative campaigning against my candidacy’, and describing the allegations as a ‘disgusting affront’. “The targeting of Green spokespersons with false accusations of anti-Semitism is designed to stifle legitimate criticism of the Israeli government. “This form of deceit is especially dangerous as it sets back the cause of tackling all forms of racism and xenophobia, which are regrettably on the rise. He claimed the LFF piece represented ‘interference’ from a Labour party member. LFF have long covered Green Party issues. Former Wales Green Party Deputy Leader Pippa Bartolotti was also among those defending Shahrar Ali, commenting that it was a ‘witch hunt’, and calling the Campaign Against Antisemitism ‘a nasty bunch of Zionists hell bent on chasing any negative comments about Israeli policies out of history’. Bartolotti has previously been quoted as saying that Israel was seeking a ‘final solution’ for Palestinians and that Gaza was ‘an open air concentration camp’. “I know Shahrar, and he is a passionate anti-racism campaigner who champions the cause of the oppressed, often the Palestinians, by questioning the role of the Israeli state in such oppression. He called for a Green boycott of Left Foot Forward, which has been a platform for Green Party members and politicians. Others members however backed the view that the speech was offensive. “It is simple to protest against Israel’s treatment of Palestinians, press coverage of the conflict, or Western support for the oppression, without mentioning the Holocaust. “In 2009 however, there had not been a mass national discussion about why it is disturbing to do so, and why doing so might be interpreted as anti-Semitic. I simply can’t see how that line would be kept in if the speech was being delivered in 2018…. Members have sought to calm down the tone of the debate, with one of the largest Green Party Facebook groups – ‘Support the Green Party for a Better Future’, with over 10,000 members – banning further discussion of the issue. The author of this article was removed after highlighting comments which linked Israel’s actions to Nazi Germany. Several members are understood to have lodged formal complaints with the national party over antisemitism allegations following Friday’s LFF piece. The Green Party does not currently have an established definition of antisemitism, although this is under review. There has been pressure in recent months for Labour to adopt the the full International Holocaust Remembrance Alliance definition of antisemitism, which views comparing Israel to Nazi Germany as antisemitic. As reported last week, Green Party co-leader Caroline Lucas MP previously endorsed the IHRA definition in an Early Day Motion. However, in a statement to LFF, the Green co-leader said she sought to withdraw support for the EDM after ‘concerns were raised within the Green Party about the potential impact of some parts of the definition on freedom of speech’. LFF understands that the party executive will be debating whether to adopt the IHRA definition of antisemitism in the coming weeks.